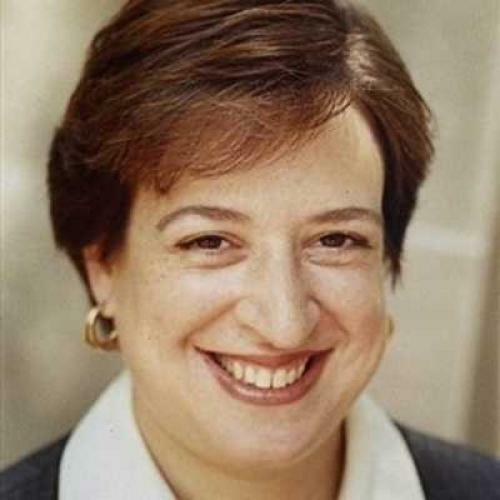 Why Elena Kagan has earned the respect of conservatives, like me. Some years ago, I told my colleague Jack Goldsmith, when his role in revoking the notorious Yoo-Bybee torture memos became public, that the only thing worse than being demonized by the left is being lionized by the left. It works both ways, though. The media like to pin a one-word--or if they are more nuanced, one-phrase--epithet on public figures, as Homer would on his gods and heroes (grey-eyed Athena, wily Odysseus). They have decided to attach the term "conservative" (or for the more subtle: "relatively conservative") to solicitor general and former Harvard Law School Dean Elena Kagan. A lot of people--myself included--have described Kagan's many remarkable qualities in many places. Here I want only to explain how she got this dubious sobriquet, one that is unlikely to do her much good: For lefties, it disqualifies her as the new torchbearer for their causes now that Justice Stevens is retiring; and for the right--well, they just won't believe that anyone with a big job in this administration can have any real good about her. Some episodes from her deanship at Harvard, where I've taught for many years, will give the flavor of how she garnered this particularly accolade, if accolade it is. Now I know she has done just the same sort of thing (I just wasn't invited) for the law school's chapter of the American Constitution Society--a kind of latter-day lefty knockoff of the Federalists--understandably enjoying something of a vogue these days. And she has devised events celebrating the publication of books by liberal professors Cass Sunstein and Mark Tushnet. She has managed to get the once notoriously faction-ridden faculty to embrace the appointment not only of former Scalia and Kennedy clerks, but also of several hard lefties, both categories of persons who previously could not have made it to the floor of the faculty. And when the Third Circuit Court of Appeals ruled that the Solomon Amendment could not constitutionally be applied to cut off funds to Harvard because our placement office's longstanding anti-discrimination policy requires it to bar military recruiters, it was she who put that policy back in force. Does this all mean that she is some kind of crypto-Republican who would shift the Court to the right? And what does her behavior as dean tell us about her ideology? My clear answers are no and nothing. I do not doubt that her heart beats on the left. After all, she clerked for Abner Mikva and Thurgood Marshall, two of the most liberal judges to sit on their respective courts, and she calls Marshall her legal hero. No, what it all tells us is that she came to Harvard Law School at a critical time in its history and determined that it was her job to make the biggest, richest, and most famous law school in the world also the best. And that she would do it by recruiting excellent teachers from across the ideological spectrum. That she would make students with every point of view feel as if they were part of an intellectual and professional enterprise. That the students and faculty should feel this was not just a place to come to work and an experience to be endured, but an enjoyable and satisfying part of a life that should be satisfying and enjoyable in its entirety. She saw that was her job; that was her role. She threw herself into it wholeheartedly. And she succeeded. Author's Note: In this article, I make the following parenthetical remark after noting Dean Kagan’s hosting of a dinner for Justice Scalia: “Harold Koh, dean at Yale, bestirred himself to do the same, but he could not bring himself to speak any warm words of introduction. He left that to a faculty member who had been Scalia's clerk.” My friend, Yale law professor Christine Jolls, the former clerk I mention, assures me that the arrangement was meant to honor, not disparage the justice, and that he took it that way. Knowing Christine as I do, I am sure she is right. Charles Fried teaches constitutional law and contracts at Harvard Law School, where he has been on the faculty since 1961. He was solicitor general of the United States during the second Reagan administration and from 1995 to 1999 he was an associate justice on the Massachusetts Supreme Judicial Court.